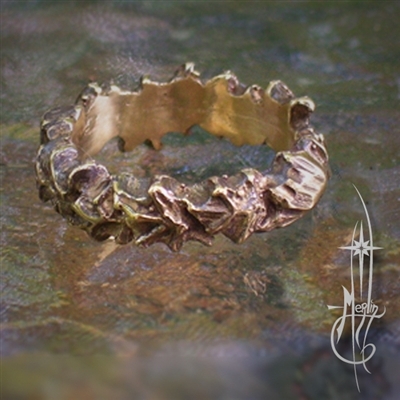 A complete circle of Maple Leaves made into a ring. or a “drawing” in a very positive way. ambitious, proud, wants to impress. one may harness the symbolism of the Tree in One’s life. drawing helpful and positive spirits and energy. helping others to succeed and providing a nourishing environment for all concerned. unusual rings sizes are no problem. I provide the option for an inscription in the inside. Price is provided is for sterling silver, gold prices upon request. To order, please visit my Maple Leaf Ring page.